King's Chapel Burying Ground, on the corner of Tremont and School Streets, is the oldest burying place in Boston proper. 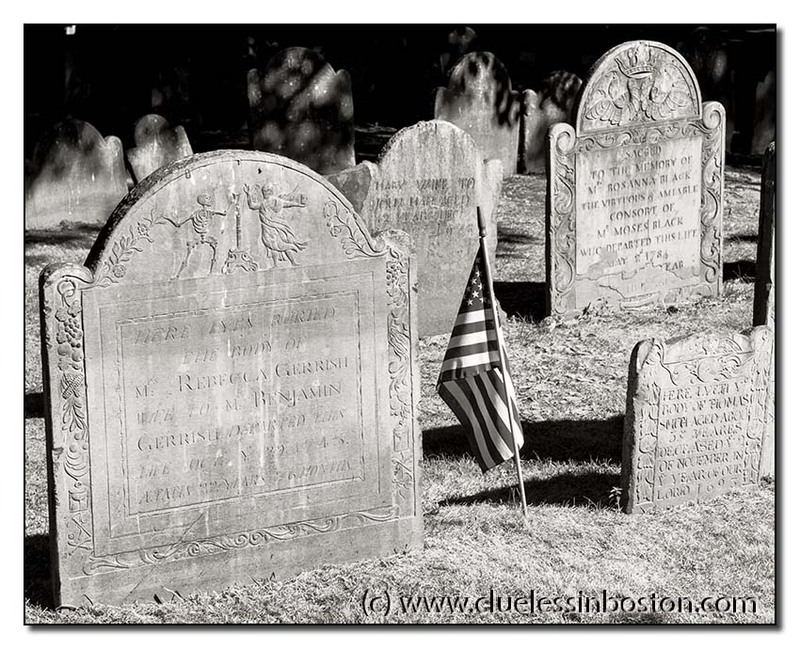 The burying ground is the final resting place for many colonists, including John Winthrop, the Colony's 12 term governor; Hezekiah Usher, the colony's first printer; Mary Chilton, the first woman to step off the Mayflower. Very fine, Clueless. Whenever I see this burial ground, I marvel that it has been able to survive in the urban world of the 21st century, walled in by tall buildings. THIS is a very neat place to stroll. Been here many times. That is such a nice shot. I would like to wander around in there. Very moving! i'm impressed to read that the name of this first woman was kept through agesas well as the graves..